Looking for local, reliable, professional and affordable skip hire in Brighton? We are the easiest, most affordable and most efficient bin hire and collection company in Brighton and surrounds. For fuss-free and efficient waste removal, rubbish skip hire or commercial bin hire, you can be relieved knowing that you chose Brighton’s most trusted name in the business. We have a wide range of skip bin hire for Brighton households and businesses, ranging from small 2 cubic metre to large 6 cubic metre skips. Handiskips SA offers service that is professional, friendly and reliable. Our honesty, experience, timeliness, cleanliness and superior work are some of the qualities from which we have developed our loyal customer base across Adelaide and all metropolitan area. We take pride in the fact that over the years we have grown substantially – a testament to the great skip hire service and waste removal solutions we provide our customers. It’s as easy as 1, 2, 3!! We make the process of cheap bin hire Adelaide and waste removal extremely easy for you. We supply you with the right bin for your requirements, letting you fill it with garbage or unwanted goods, and then taking it away when you are done. Easy. our family owned business is actively involved in ensuring that all collected waste is efficiently recycled. We take every step of our work with great responsibility from drop off to the collection of filled up rubbish skips, processing, recycling and waste management. 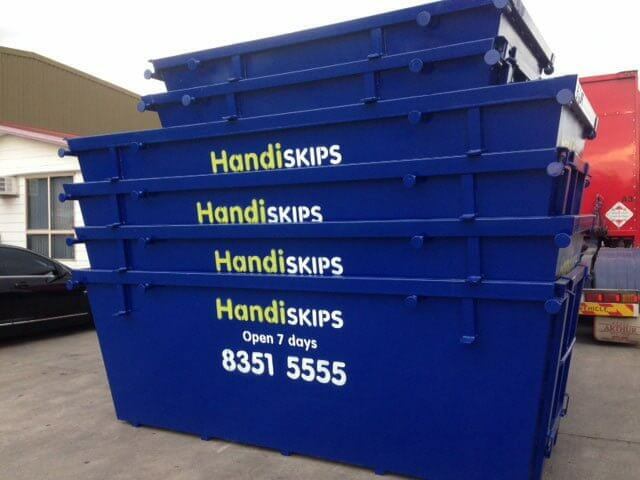 Handiskips SA bins are suitable for household garbage, commercial, industrial, construction, green and general waste. 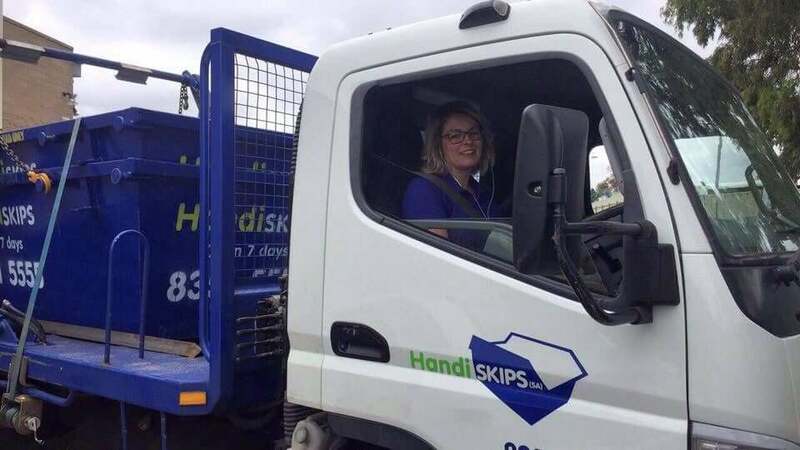 We operate 7 days a week and guarantee all of our skips have an access ramp, how Handi! 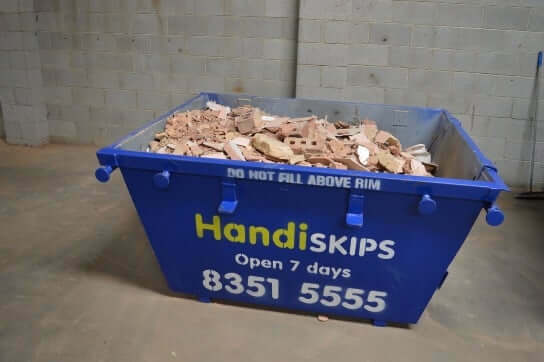 With skip sizes from 2 cubic metre to 6 cubic metre for rubbish removal, you are sure to find your waste removal solution with Handiskips SA. Builders, renovators, gardeners, landscapers, homeowners, whatever the waste we are the best for skip hire in Brighton. Call Lisa today to discuss skip bin hire options. No matter how big or small the job, our professional team at Handiskips SA can take care of it for you. We are committed to delivering prompt waste disposal services that you can count on. At Handiskips SA we work hard to keep our customers happy. With reliability and dependable service, we work hard to ensure all our customer’s needs are met on time. If you would like to ask a question regarding cheap bin hire, or if you prefer to book rubbish skip hire over the phone, call Lisa on 08 8351 5555 and get expert advice on the most suitable skip bin for your requirements. 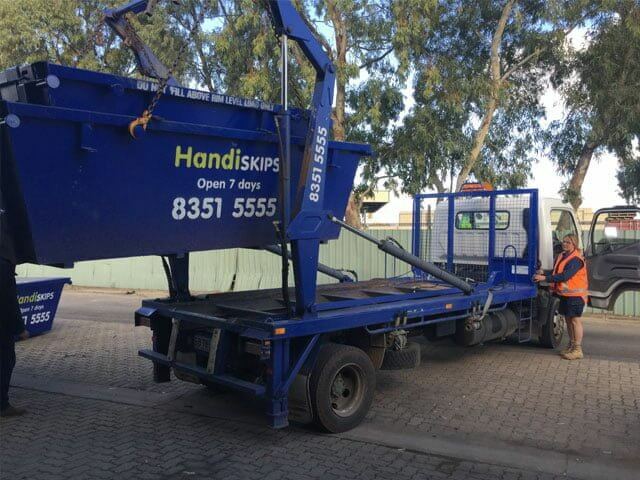 Give Brighton’s top rated skip hire service- Handiskips SA- a call today on 8351 5555.